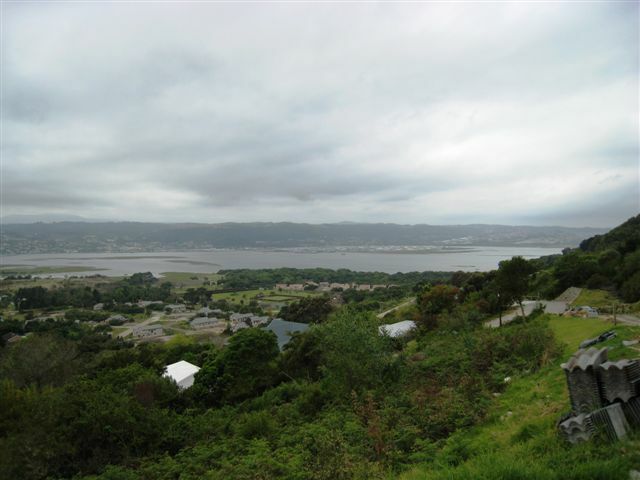 Brenton-on-Lake is a suburb of Knysna, situated on the southern banks of the Knysna lagoon. The Brenton-on-Lake properties are built on a hillside which boasts some of the best scenery in Knysna and is almost opposite the famous Thesen Island. Brenton-on-Lake is a magical family holiday destination in Knysna, offering boating, skiing, fishing, swimming, canoeing, and yachting, with boats easily being launched from the communal slipway. If you are a nature lover then this Knysna suburb is for you. North facing, the properties in Brenton-on-Lake offer a variety of spectacular indigenous trees, such as giant yellowwood and milk wood trees found nowhere else in Knysna. In the village of Brenton-on-Lake, the bushbucks have been adopted by the locals and while walking you are guaranteed to see them munching the flowers in the local gardens. There is a resident porcupine that has made his home in a culvert under the road as well. Residents are mainly retired folk who spend their days feeding the birds and bushbuck, but there are also many holiday homes in Brenton-on-Lake for the fortunate few. Brenton-on-Lake is only 17 kilometres from the centre of Knysna, but for those fortunate enough to own a boat, as the crow flies, the Knysna Waterfront is less than two kilometres away. There are two gated communities in Brenton-on-Lake offering ideal lock-up-and-go facilities. In total there are 500 residential homes in Brenton-on-Lake and prices vary from R700 000 without a lagoon view to R1 500 000 for a stand with a view. Homes for sale in Brenton go for between R995 000 to R2 400 000 without a lagoon view. When you buy a property in Brenton-on-Lake, you can retire to Knysna, while still enjoying the benefits of living slightly further away from the hustle and bustle of this busy and very popular holiday destination in South Africa.